The academy specialises in LGV driver training for both new and established drivers, as well as providing ADR, Driver CPC and Operator CPC courses. We also provide free continual careers advice to all candidates who train with us. 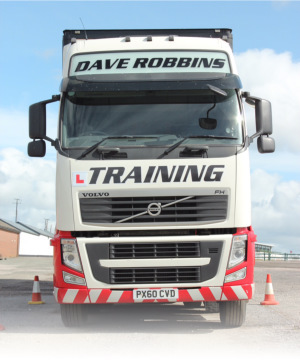 Dave Robbins has been a driver, an operator and a trainer in the industry for over 35 years, and has developed direct links with operators across the South West. These links allow us to offer drivers guaranteed job interviews with leading operators in the region. This experience also ensures that the academy is focused on providing training relevant to the industry, as we understand the needs of all parties involved in the industry.